As it turns out, this is not the typical American relationship with lamb. According to the USDA, the typical American eats only about 0.7 pounds of lamb a year. But this average is somewhat misleading, making it seem like every American nibbles three hamburgers-worth of lamb annually. In reality, some Americans eat a lot more than 0.7 pounds of lamb in a year, and some eat a lot less. Make that a lot less: a 2015 report on lamb consumption from Mintel found that more than half of Americans older than eighteen don’t eat lamb at all. But what makes us even weirder to the global eye than our incomprehensible lamb aversion is the fact that we don’t eat mutton. This makes us—Americans—pretty weird in the eyes of the rest of the world. If you Google “lamb, America,” five of the first seven hits are articles with titles on the variation of, “Why don’t Americans like lamb?” But what makes us even weirder to the global eye than our incomprehensible lamb aversion is the fact that we don’t eat mutton. Garcia thinks that people want lamb because they associate youth with tenderness—one of the most coveted characteristics for meat in the United States over the past few decades. Pair that association with federal-level policies that favored beef (“It’s what’s for dinner!”) and pork (“The other white meat”) over mutton (which, in its canned state, formed a despised component of WWII soldiers’ rations), and you get a consumer base wary of sheep meat. In New England, where I’m located, the grazing season is relatively short, lasting only May through October. “It is difficult to raise a lamb up large enough to make money in the time that we have,” says Josh Pincus, livestock manager at the Farm School. This is because small animals are less efficient when you compare cost of production to yield, and also because there are fewer buyers for small animals: Garcia says a chef at the Cambridge restaurant Oleana told her she won’t buy New England lamb because it isn’t large enough. Farmers seeking to maximize lamb growth under such limiting conditions must choose between bad options: winter lambing, which extends the growth period but exposes vulnerable lambs to severe cold, or grain feeding, which fattens lambs quickly but is expensive and introduces a whole suite of health concerns for animals evolved to eat grass. 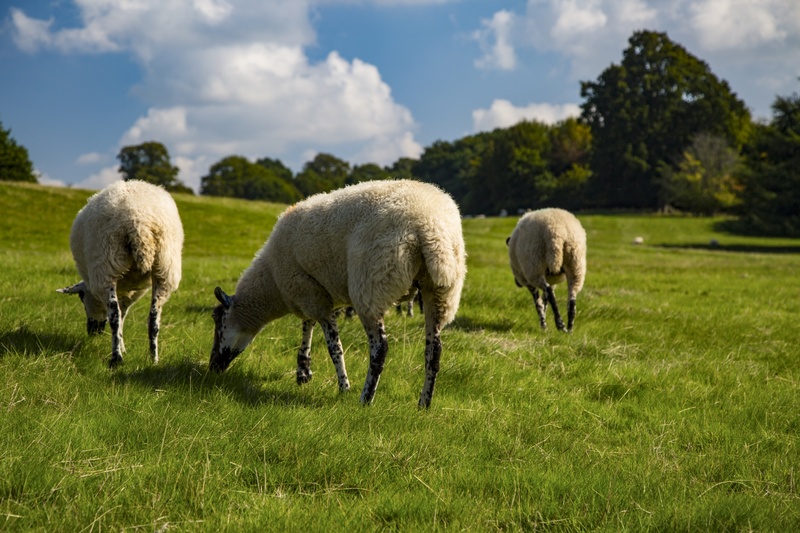 If farmers could raise yearling sheep up to full size, as they do with beef, then they would be able to produce significantly more meat per animal (and per slaughter fee) while maintaining a grass-fed diet. “I would imagine raising lambs up until the fall after their first birthday, so about 18 months,” Pincus says. Even accounting for the extra hay needed to carry yearlings through a winter, he predicts this practice would boost the profit margin for New England sheep. But would people want to eat yearling sheep? Garcia thinks that the negative perception of mutton is already changing. “Chefs are introducing it onto menus and from there home cooks will follow.” Eating across the animal age spectrum, Garcia points out, “is just a different form of nose to tail,” and it’s something that consumers truly interested in sustainability should be excited to see on the menu—and ultimately, in their shopping baskets. Cooking delicious mutton is not difficult. There are just two key steps: a long, slow braise, and skimming off the fat that renders in the process. “So much of the gamy flavor [of mutton] lives in the fat, so knowing that helps a lot,” Garcia explains. “I recommend braising and then chilling overnight so the fat solidifies on the top and is easily removed.” For the braise, Eliza Thomson, another chef at the Program for Visiting Schools, likes to let the meat sit overnight in a dry rub of herbs and spices and then cook it in the oven at a low temperature in an acid-forward liquid for about eight hours. The result is a mellow-flavored, meltingly tender cut, perfect for topping polenta or creamy grits.